Does the Word No Make You Feel Rejected? Hi It’s Vanessa Ugatti here. And today I want to talk to you about a very troublesome word. And that word is no. Now what do you feel when you hear that word. Are you mildly uncomfortable? Do you want to run away and hide? Or simply bury your head in the sand? Whatever your reaction is, I’m really not surprised because I could pretty well bet my bottom dollar or even my bottom pound that as a child either one or other of your parents said to you N O spells no! And of course, they would have said it more than once. So as a child it’s likely that you would have interpreted that as total rejection and of course that would have then been stored in your unconscious mind and every time you heard the word no again, that memory would be brought up. So that’s pretty harsh for a child and that would have been from people who you as a child expected to love you the most. So let’s fast forward to today. You’re in a business meeting with a client and you’ve just got to the point where you’re discussing your fees and you’ve told them your fees and they say no so you immediately jump to that reaction of rejection and you stop dead in your tracks and do nothing. So what I’m proposing is that you recognise that you will have that reaction until such time as you consciously realise that you no longer need to react to it and then you go beyond that and you challenge the client, not in an aggressive way but just find out what their concerns might be. If they’ve said no to your price or your fee, the chances are that you haven’t sold them your value so you need to make sure they understand that. So in my next video, I’m going to continue on the theme of the word no but this time look at it from the perspective of you delivering a no. 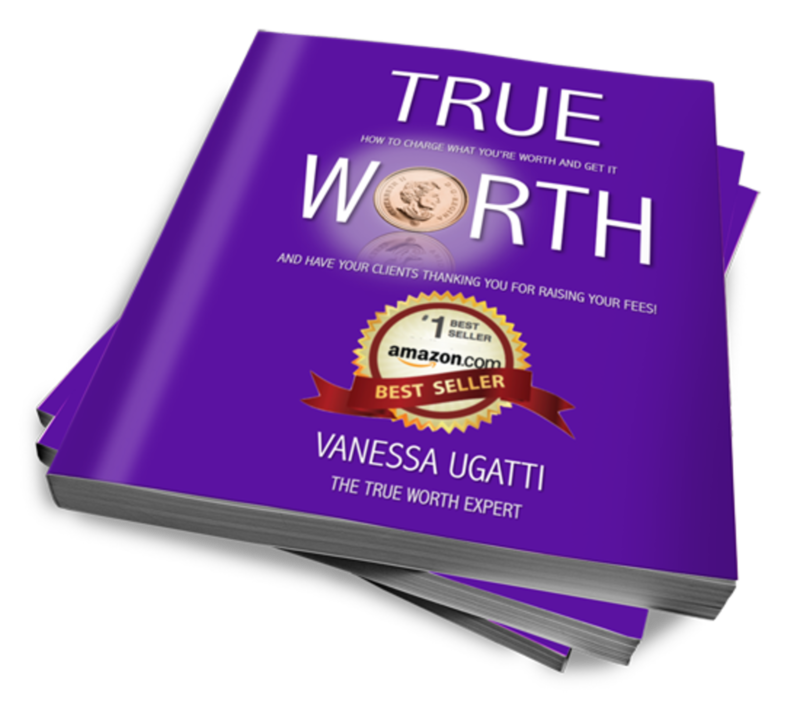 So if you found this useful, please do share it with your colleagues and your contacts and if you’re looking for more tips, you might want to access a copy of Amazon Bestseller, True Worth: How to Charge What You’re Worth and Get It at www.thetrueworthexpert.com.